Next to Bruno Dumont’s Hors Satan, which has yet to receive a proper theatrical release here in America, Paul Thomas Anderson's magnum opus The Master remains the most beguiling and endlessly imaginative film I saw all year. The story itself would be enough to intrigue, but from a formal standpoint, the already stout Anderson has upped his game in ways hitherto unseen. Anderson shot The Master on 65-millimeter film, with hopes that it would screen in the epic 70-millimeter format wherever possible. Our own Music Box Theatre was one of the few places this happened, making for one of the more eventful evenings of the year for Chicago moviegoers. I was lucky enough to attend that screening, and I marveled at what I saw. (Read my account of that evening here.) Almost in spite of the 70-millimeter format, which best suits deep-focus photography and broad vistas, Anderson’s film works mainly in compact compositions and features a good number of close-ups. However, Anderson shoots the faces of his actors as if they're grand landscapes, capturing their various imperfections and unique contours. 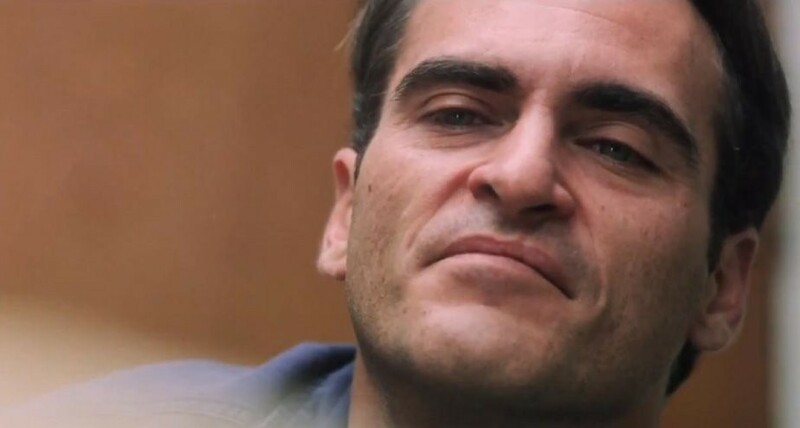 Not hurting matters are Joaquin Phoenix and Philip Seymour Hoffman, two of the greatest actors alive today, both of them capable of grand, emotive facial gestures as well as more contemplative method styles. Whenever I struggled with the film's occasionally aimless narrative, I simply studied their faces. Suddenly, everything made sense. During instances when Anderson did pull the camera back for some wider shots—I'm thinking of the motorcycle scene, in particular—the effect was equally as stunning. Seeing the film in 70-millimeter was a truly singular experience that is undoubtedly lost when seeing it projected in a different manner. I selected the rest of my top ten based solely on my emotional and intellectual response to their particular styles. These are the films that stuck with me the most. 12. Killer Joe (William Friedkin, 2011): Some say this was Friedkin’s return to form—I question whether he ever left. Finally, some stuff I saw at festivals I would have gladly included here if I thought I could (I'm still trying to grasp the nebulous rules behind these end-of-year lists): Beyond the Hills (Cristian Mungiu, 2012), Leviathan (Lucien Castaing-Taylor and Verena Paravel, 2012), Mekong Hotel(Apichatpong Weerasethakul, 2012), Post Tenebras Lux (Carlos Reygadas, 2012), Aita (José María de Orbe, 2010), Memories of a Morning (José Luis Guerín, 2010), Palaces of Pity (Gabriel Abrantes and Daniel Schmidt, 2011).